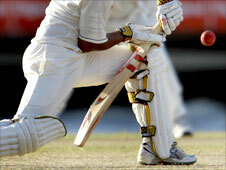 Cricket's lawmakers could introduce lie detector tests in a bid to root out corruption from the sport. Admitting to concerns over the sport's reputation, an MCC committee also called for better education and for captains to take more responsibility. Other suggestions included the legalising and regulating of betting markets in India and the inclusion of anti-corruption clauses in contracts. The laws sub-committee will consider the recommendations in February. And the Marylebone Cricket Club's World Cricket Committee - which includes past players Steve Waugh, Barry Richards and Courtney Walsh - admitted that maintaining the game's integrity was an increasing problem, especially after a summer that saw several Pakistan players accused of spot-fixing in the series against England. "The committee is concerned at the scale of the problem, and the detrimental effect it has placed on the integrity of the game," a statement said following a meeting in Perth ahead of the third Ashes Test in the city. And while the work of the International Cricket Council's anti-corruption unit was praised, the MCC added that greater resources would be required if the battle against corruption was to be won. "[We feel] more resources - and increased powers - are required to attempt to eradicate this issue from the game," the statement added. "The education of players should not be a meaningless formality; the message should be pressed home with regularity by figures known and respected by the players. "Furthermore, the committee believes that team captains - as enshrined in the Laws and Spirit of Cricket - should accept greater responsibility for the conduct of their players." England captain Andrew Strauss found himself unwittingly dragged into the corruption debate in the summer when allegations were made against Pakistan players over their matches against England. "But what I do know, and is probably more important, is that we don't want the whiff of anything suspicious going on in the game. "If we have to take extreme measures in order to be 100% confident the game is being played in the right spirit, then I'd certainly be happy to do that. "I'd have to think about the arguments (for lie-detector tests) one side and another first. "But the principle, of having 22 guys on the pitch that the supporters are absolutely 100% certain are playing the game for the right reasons, is a good thing."